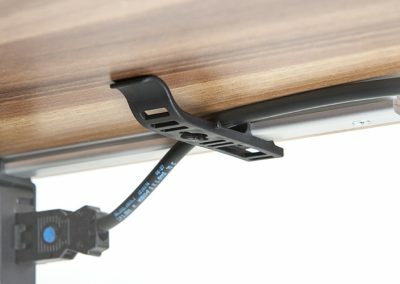 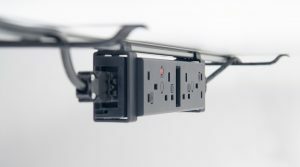 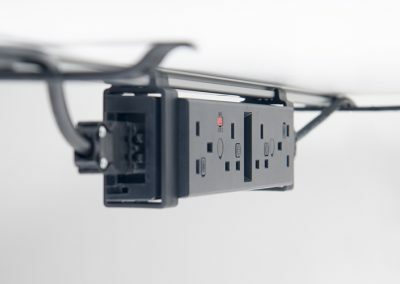 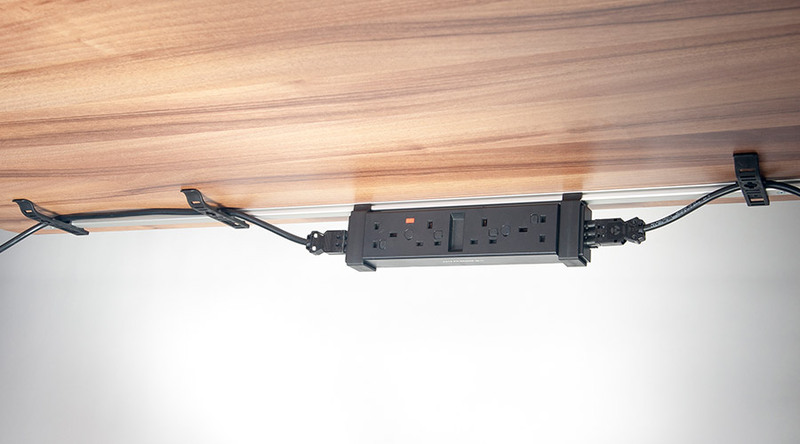 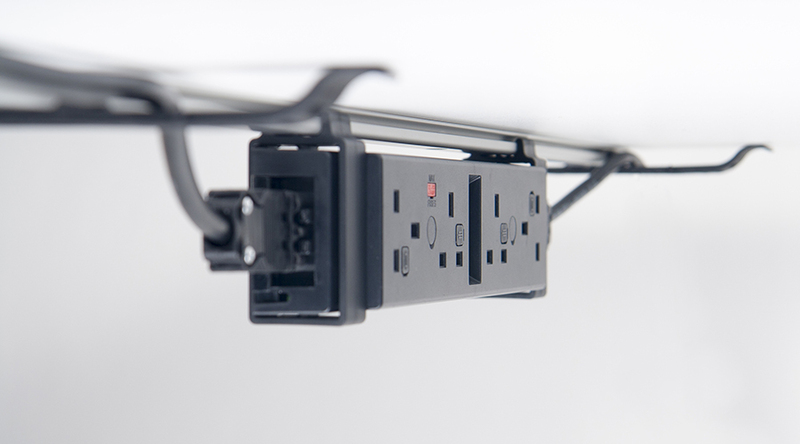 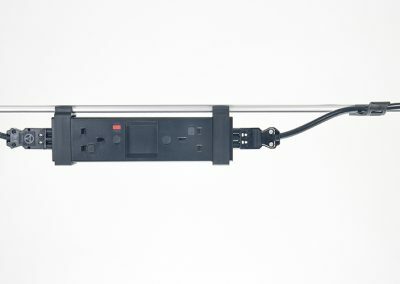 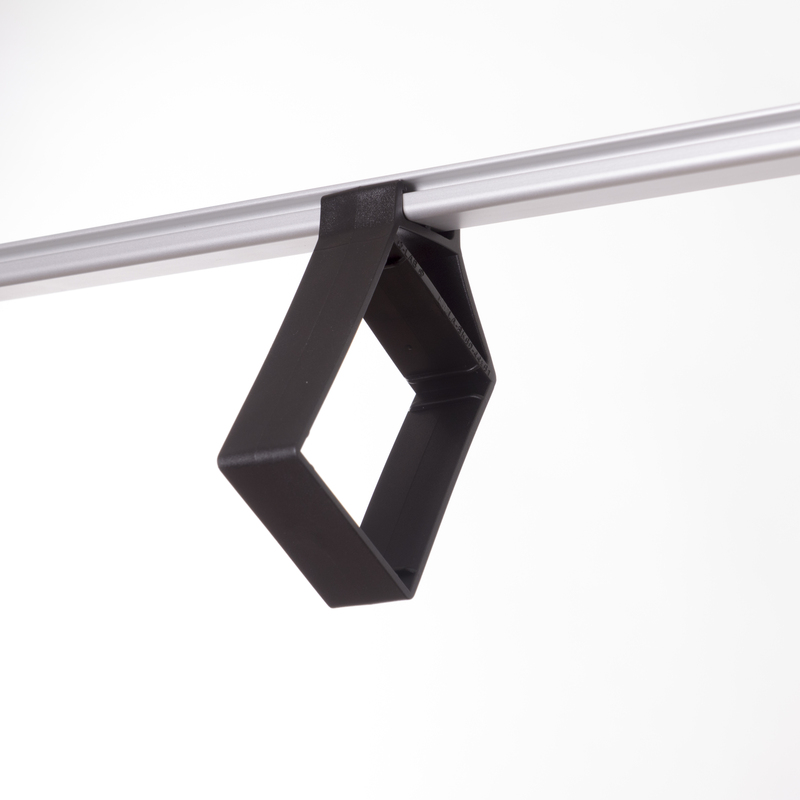 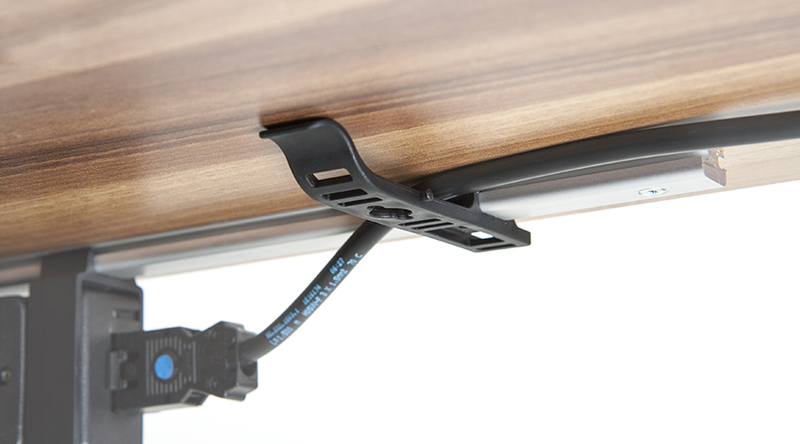 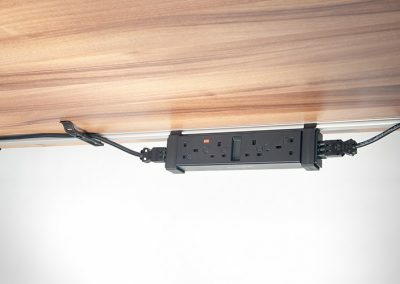 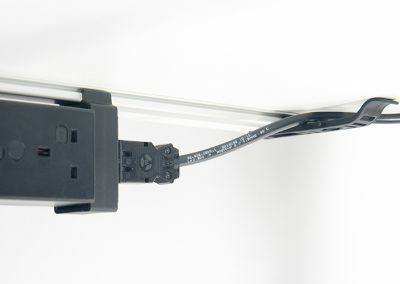 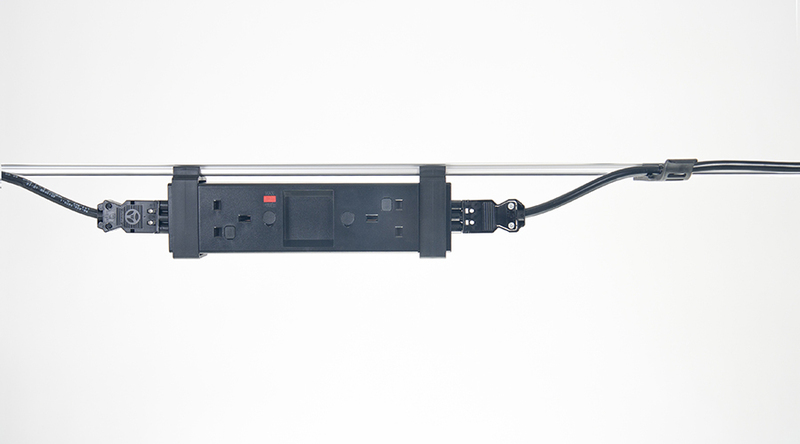 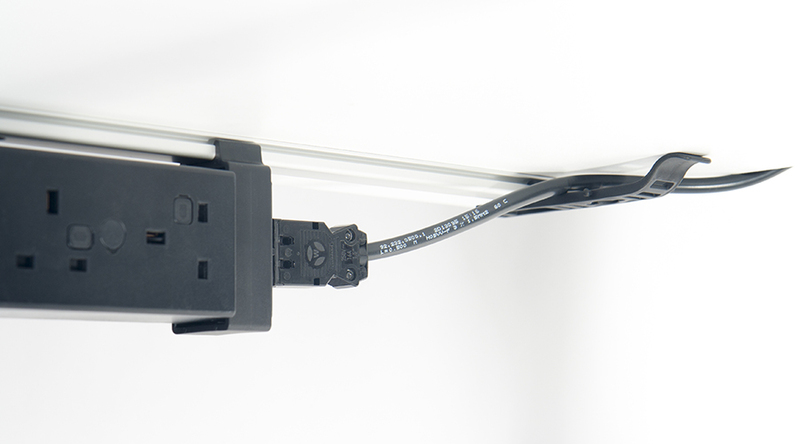 EasyClamp is a minimalist yet effective modular horizontal cable management system that is a perfect companion for the OE Electrics Power Unit and Power Bar. 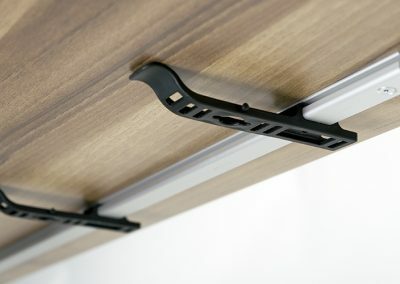 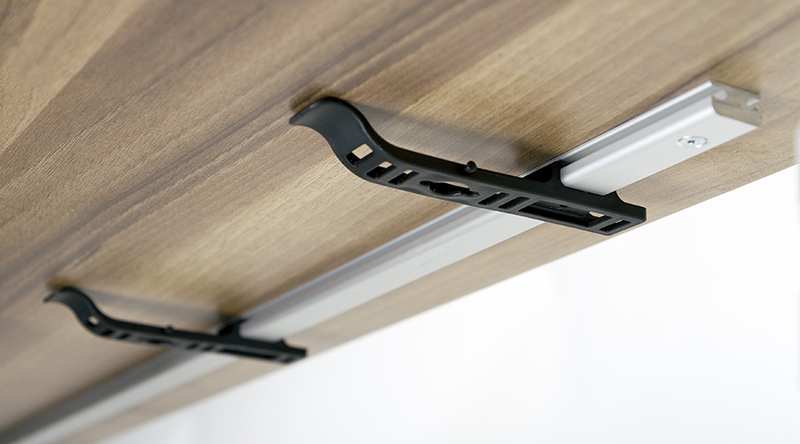 The key strength of EasyClamp is in the simplicity with which it achieves effective management of power and data below the desk top. 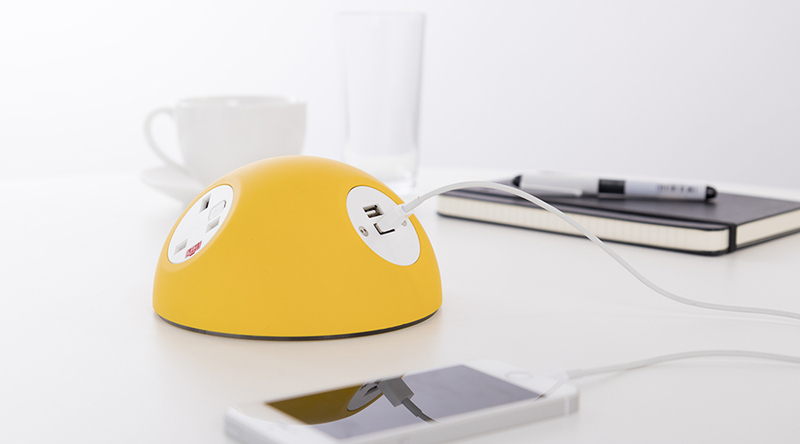 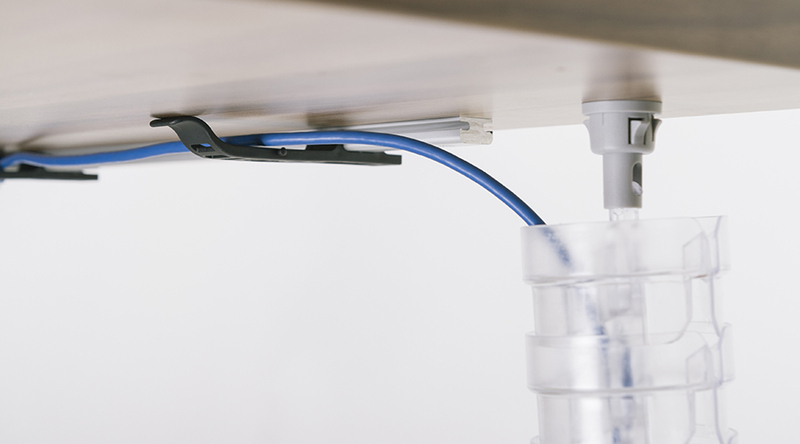 Perfect for open backed desks and small meeting tables where conventional suspended tray cable management would be visually intrusive. 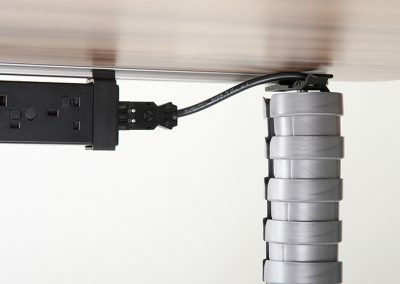 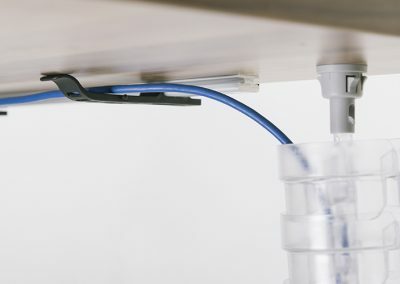 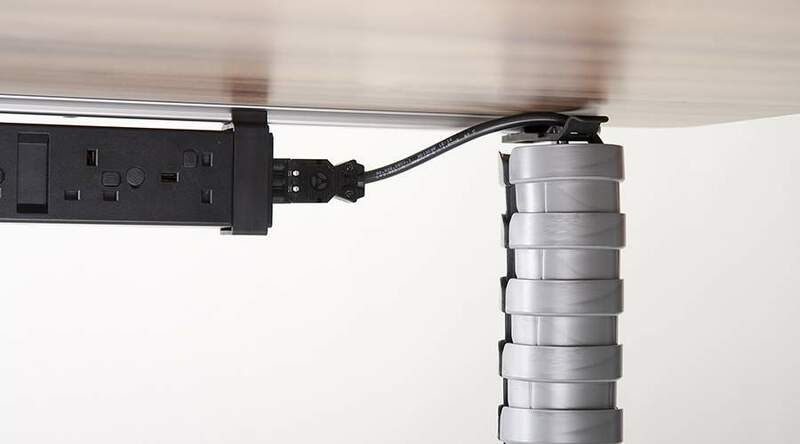 Easy Clamp can be even combined with our Pathfinder umbilical for a complete floor to desk top cable management solution. 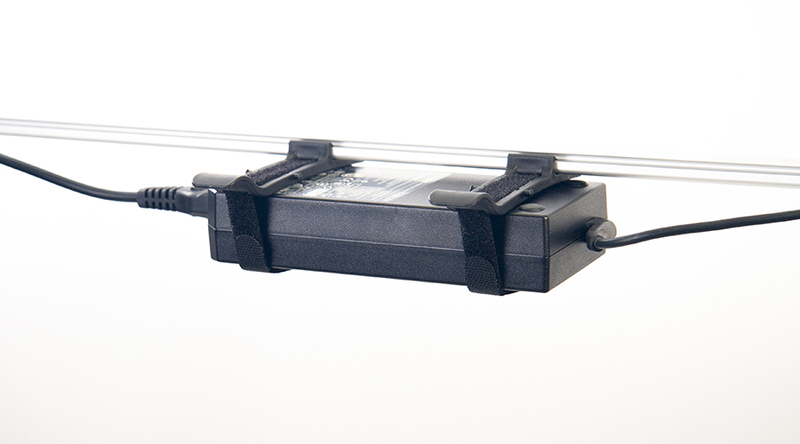 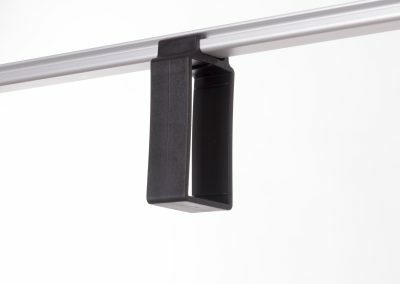 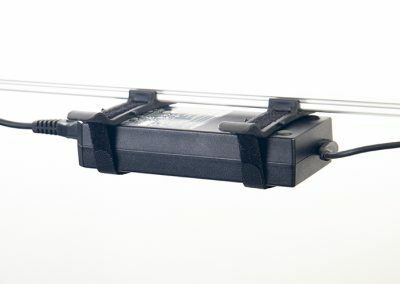 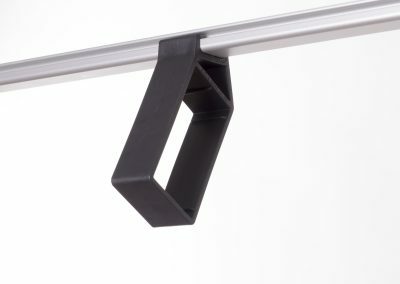 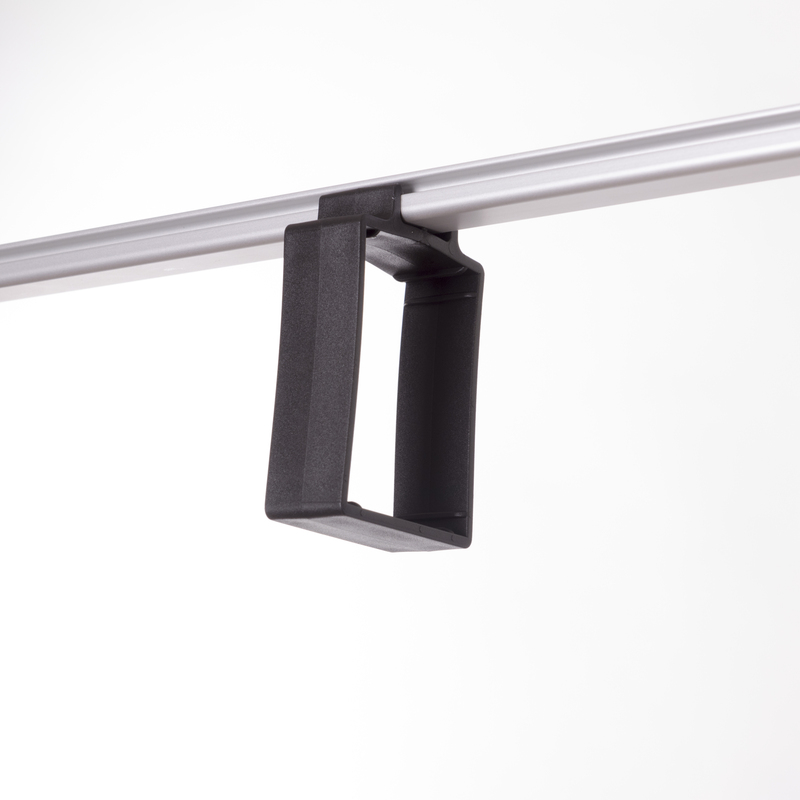 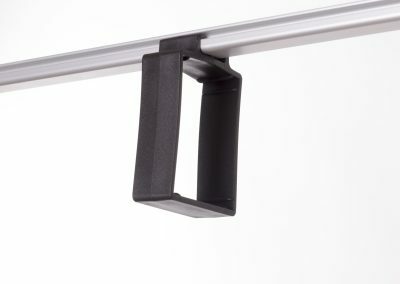 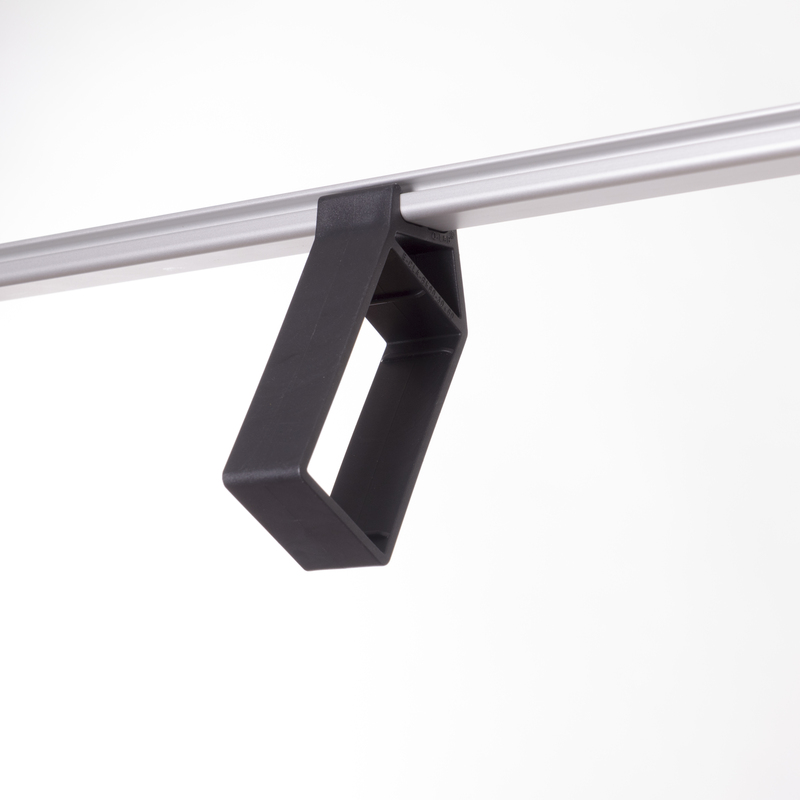 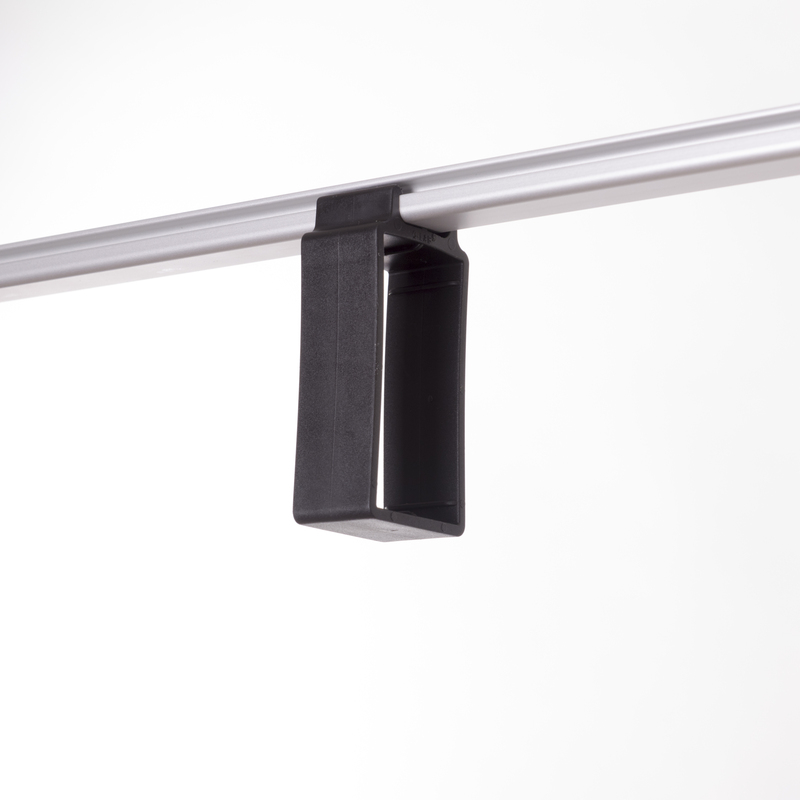 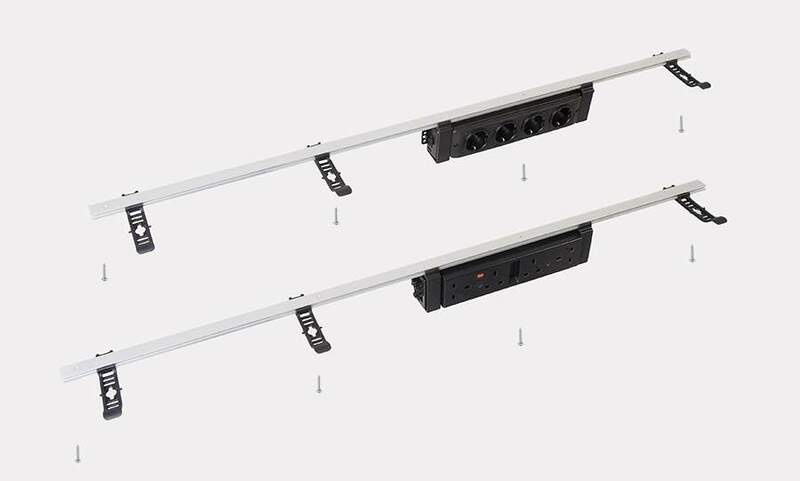 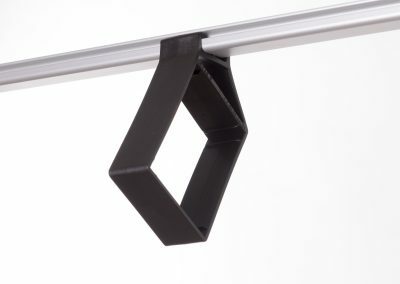 The core component of Easy-Clamp is a solid aluminium mounting rail to which moulded mounting clips for power modules, IT power supplies and cables management can be securely attached by a simple locate and rotate action.